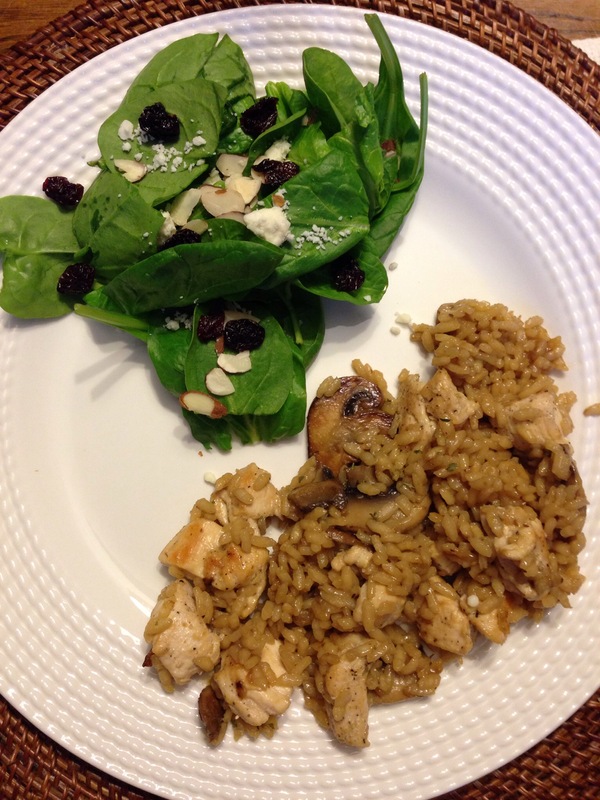 Monday– Chicken mushroom risotto with spinach side salad. I usually make risotto in the winter, but I realized I didn’t make it once this year! When I saw mushrooms on sale for BOGO (Buy one, get one), I couldn’t resist. Plus I’ll use the other mushroom container for a meal next week. 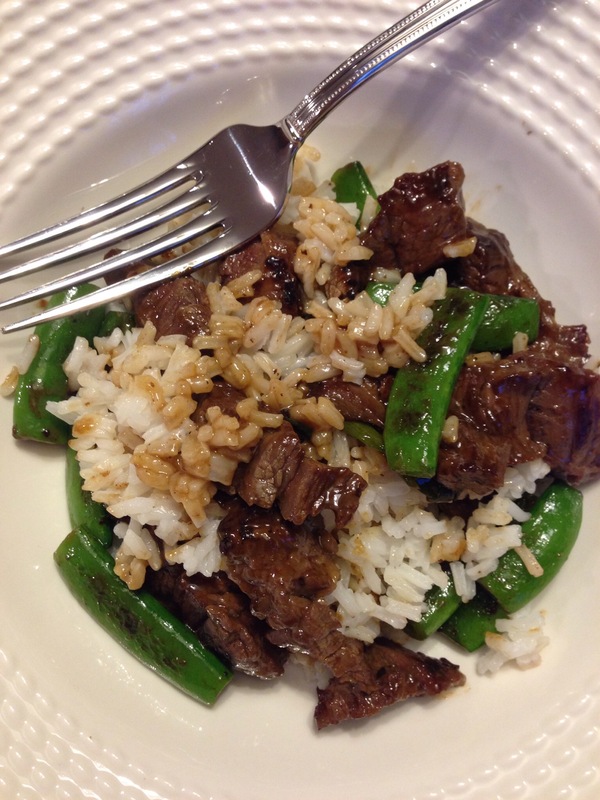 Tuesday– Steak and snow peas stir fry with rice. We don’t cook steak often at home, but this meal helped curb the craving I was having — and no, it’s not that kind of craving ;). 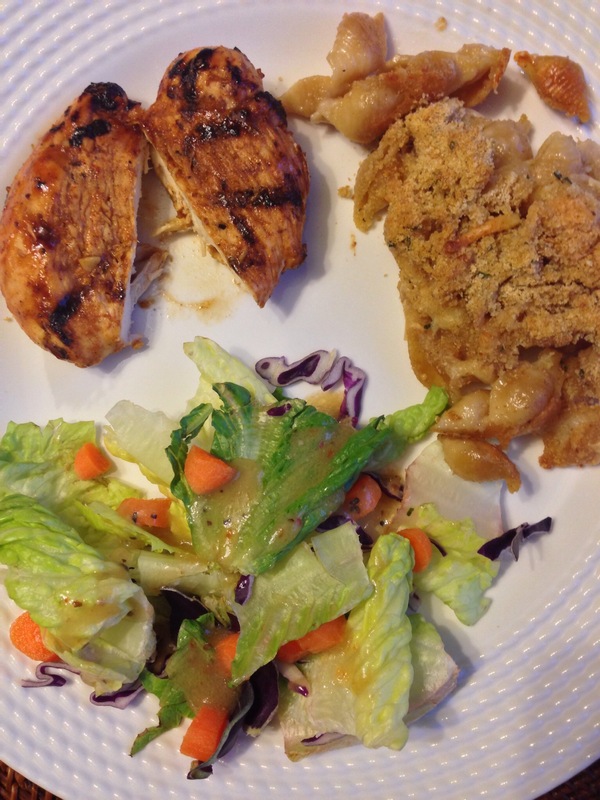 Wednesday– Grilled marinated chicken with baked gruyere and cheddar mac and cheese and a side salad. Where do I start to explain my love for mac and cheese? If I could only eat one food for the rest of my life, it would be mac and cheese. It’s my favorite comfort food and can be so versatile with types of cheese, adding veggies or lobster (YUM!) I normally prefer creamy stovetop, but I decided to change it up and I tried this baked gruyere and cheddar mac and cheese instead. Let’s just say there was no leftovers! I used this marinate for the chicken. Honey mustard is one of my favorite combos. I use it often to marinate fish, but it tasted just as good on chicken. 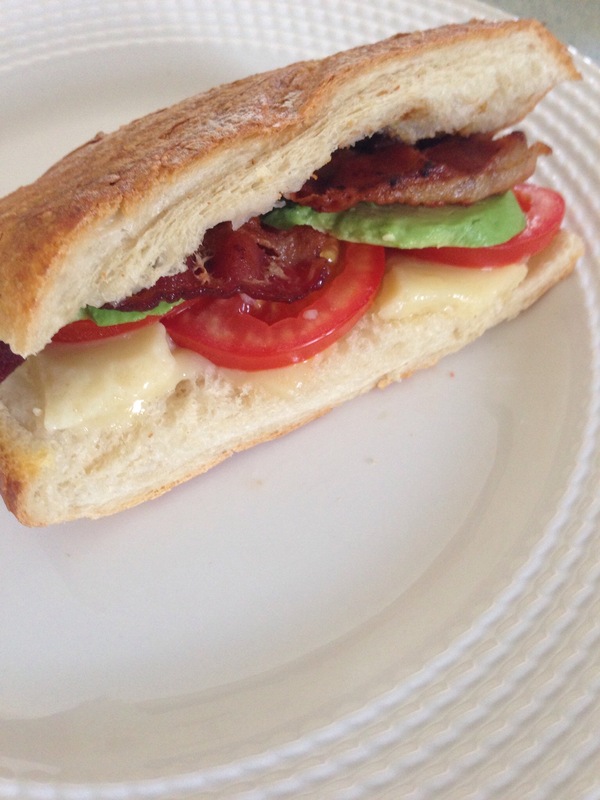 Thursday– Grilled cheese with gruyere and cheddar cheese, bacon, tomato, avocado on sourdough bread. It’s national grilled cheese month! Of course I had to celebrate! This grown-up grilled cheese has great flavor and the toasted sourdough bread adds the perfect crunch! More to come later this week on this dish. 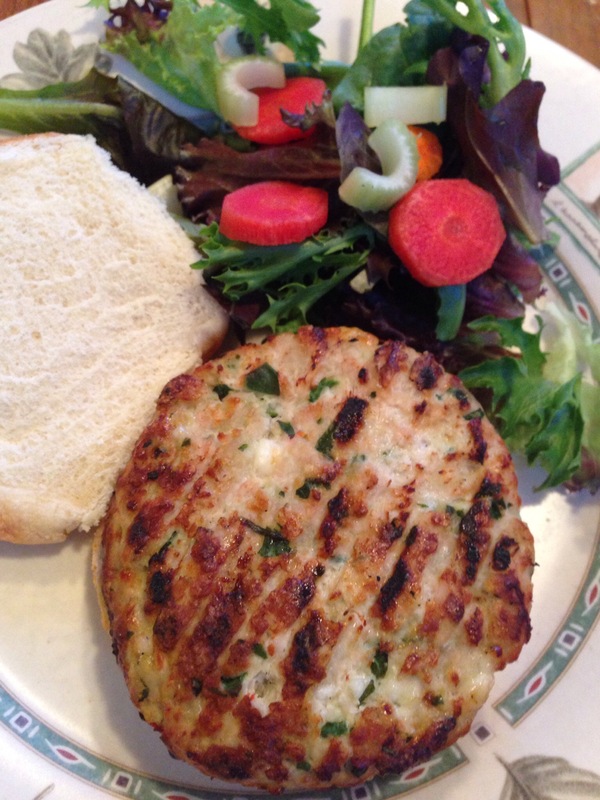 Friday– Stuffed spinach and feta cheese turkey burgers with a side salad. I wish I could take credit for creating these burgers, but unfortuately I can’t! We picked them up from a local market, but maybe one day this summer we’ll do a DIY burger. For now this will do! These healthy burgers tasted great with the built in flavors. 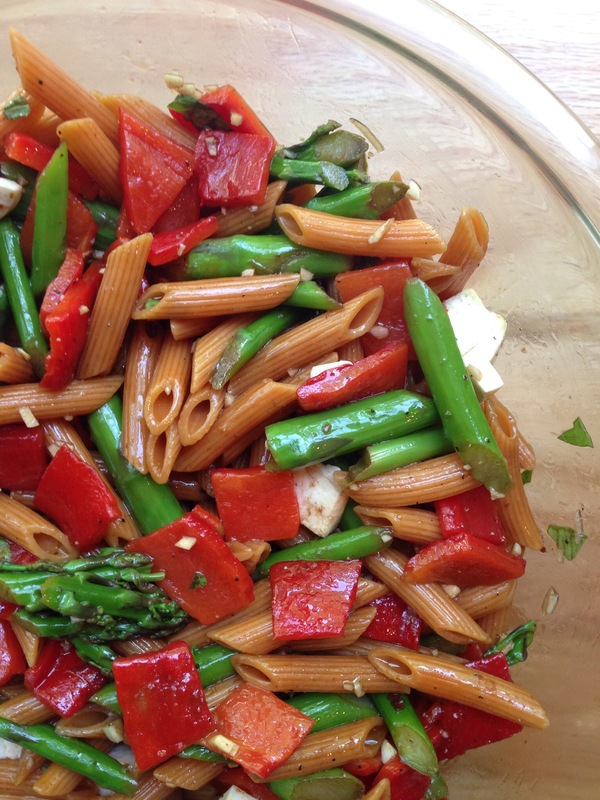 Top it off with a toasted bun and this is a great Friday night meal!